Welcome to DaOpa's Saga FanSite! SAGA features persistent online domains. Players can design and build cities that grow and improve perpetually, even when you are not online! There are peasants to be managed as they collect resources and build and maintain your fortifications, spies and assassins to send out against your enemies, and new technologies to discover in your quest for total dominion. Gain new lands and access to additional resources by conquering territories near and far. But be sure to shore up your defenses as SAGA features an exciting territory raiding system. The world of SAGA is divided between two competing factions: The Order and The Brotherhood. Within these factions, five unique forces battle for supremacy. The forces of The Order include Light, Machines and Nature, each featuring their own races, powers and distinct buildings, while The Brotherhood is supported by War and Magic. SAGA features over 100 unique troop types from multiple races, including: elves, orcs, humans, giants, ogres, dark elves, dwarves and an assortment of creatures. Build your army carefully, finding that devastating blend of cavalry, infantry and aerial units that will give you the edge in battle. Additionally, each unit can be custom fitted with thousands of weapon and armor upgrades, allowing you to build an army unique only to you. Turn the tide of battle with an assortment of powerful spells. Use them in combination to create ever new strategies for victory. Utilize troop special abilities to gain an edge when you need it most. With hundreds of options to choose from, the magic never ends in SAGA. Each force in SAGA features their own unique set of buildings � over 100 in total � providing players with solutions for their every need, be it financial, military or technology. Build and upgrade your city to create a fortress worthy of a mighty ruler, and see the hordes of the enemy break against your mighty walls. Follow the story of SAGA through hundreds of exciting quests pitting you against foes from every corner of the world. Level up individual units and your kingdom as a whole. Fight epic battles against the computer and join with friends to defeat powerful bosses, all in the pursuit of that one alluring dream: LOOT! Form guilds with online allies to improve your military and trade options. 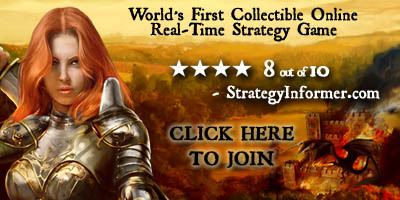 Engage in all-out war with other guilds in an epic conflict to control lands and resources. Trade with friends and foe alike in a massive real-time marketplace, and make friends in a worldwide chat system.